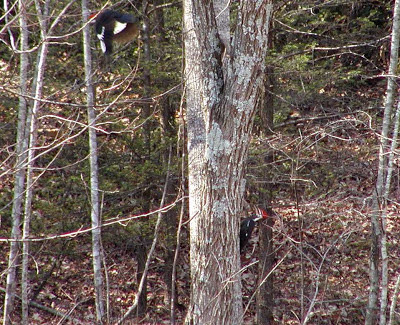 If you’re at the Inn during the afternoon, chances are likely you will hear the Pileated Woodpeckers. However, if you’re fortunate, you may also see them, gallivanting around the woods around us. 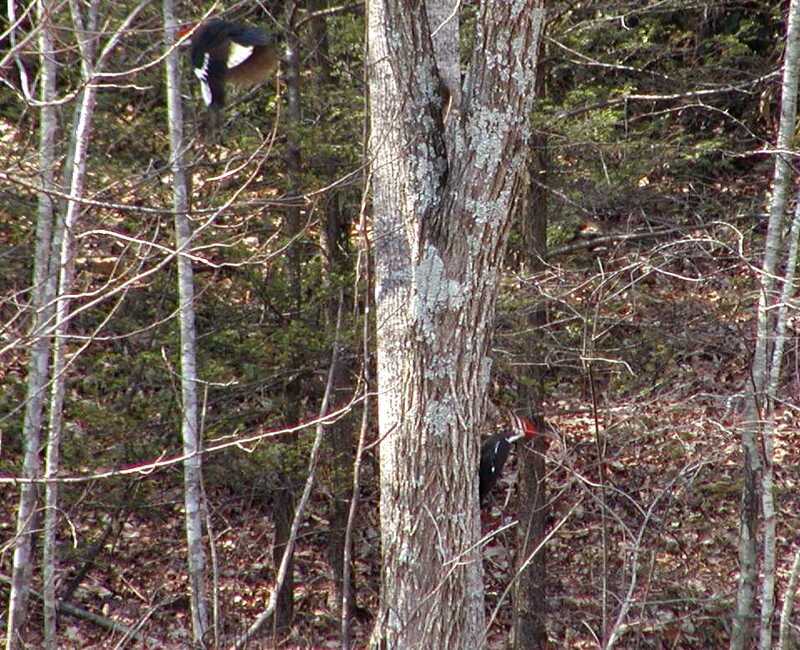 You might get a quick opportunity to snap a photo, like the one above that we took last March of one Pileated Woodpecker on a tree trunk and another in flight. But you have to be quick, because they’re not keen on having their photos taken. 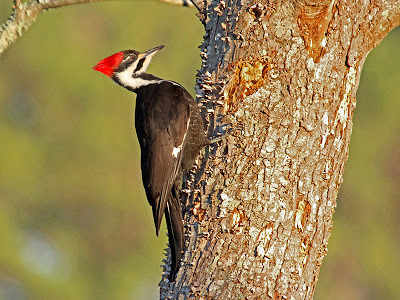 As woodpeckers, they, of course, like to peck at wood looking for insects to nibble on, and the loud drumming sound is a common one in our neighborhood. We count Pileated Woodpeckers among the homebuilders of the forest — the holes they hammer into downed logs and dead trees become homes for other birds, including the Tufted Titmouse.